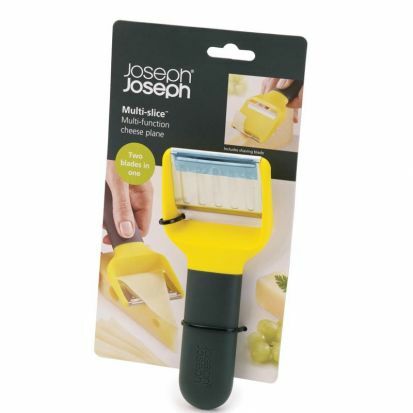 This stylish cheese plane incorporates two handy blades in one useful tool. The mainblade is perfect for slicing medium cheese, such as cheddar, and featues an embossed surface to prevent slices sticking. The second blade is much finer perfect for harder cheese like parmesan.